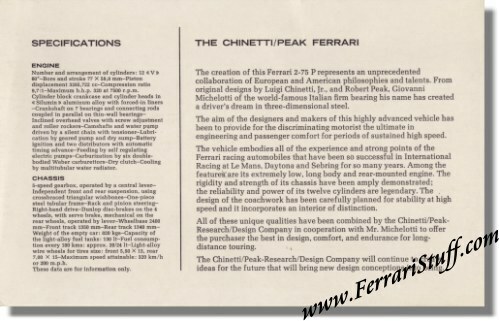 1968 Chinetti / Peak Ferrari 2-75P Sales Card S/N 0812. 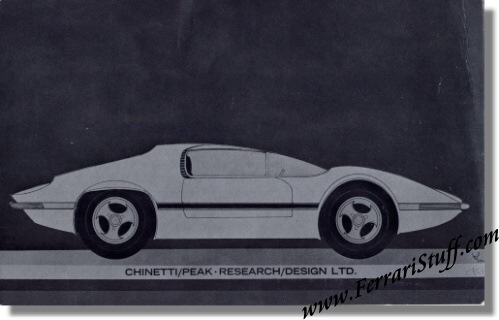 This is an original "sales" card for the Luigi Chinetti / Peak Research Ferrari 2-75P. This show model was based on the Ferrari 275P with S/N 0812 and was shown at the 1968 New York Auto Show. The car has been modified back to its original configuration in the mean time and survives to this day. It measures approximately 20.5 x 13 cm or 8 x 6.5 inches.